Mod The Sims - What the hell are all these file formats and how do I make them work with TS3? General - What the hell are all these file formats and how do I make them work with TS3? Replies: 26 (Who? ), Viewed: 11307 times. #1 31st Jul 2018 at 2:21 AM Last edited by GrijzePilion : 31st Jul 2018 at 2:33 AM. So I don't know the first thing about modding TS2 and I'm hardly an expert on the game itself, but I'll have to get over it because I need some new models for TS3 and I need them soon. I have a computer here and half a dozen Fresh Prince cars, and I'd like to start with one or two of the cars. I've already gotten a few pointers in another thread I made, and if I weren't so damn sleep deprived I'm sure I knew where to find it, but I'm still horribly lost as to what the textures are, what the meshes are, and how the hell I'm going to get these file formats I've never heard of to work with tools I HAVE heard of. I'm sure it's really simple. I'm a bit torn between getting this stuff done, making some progress, getting somewhere, improving my game environment and creating a better 1980s Bridgeport piece by piece, or going back to binge watching Miami Vice and pretending it has something to do with the whole deal. What assets do I need to export from my cloned object in SimPE? How do I read and open these assets, and convert them to a format I can use? What manual adjustments do I need to make for an object to be compatible with TS3? What do I need to do in terms of scripting? If you have any questions about YOPD, feel free to PM me. | Looking for SimWardrobe's mods? | Or Dizzy's? | Faiuwle/rufio's too! | smorbie1's Chris Hatch archives | Welcome to Oakbrook. You'd probably do well to have a look at a 2t3 conversion tutorial: http://www.digitalperversion.net/ga...p?topic=22146.0 I've never attempted to do such a conversion, and don't have the TS3 Workshop thingy, myself, so beyond pointing you at a tute, I can't be of any further help. The "List" tab is nowhere to be found in SimPE, nor is basically everything else. The names of the textures, as well as the model assets, suggest that they are not what I'm looking for. Since I cannot find the "List" tab, I export directly from the "Resource List". The textures are in the 6tx format and come with an XML attached, while the model files are in the 5gd format and also come with an XML. The TSRW Object format is nowhere to be found in Milkshape. 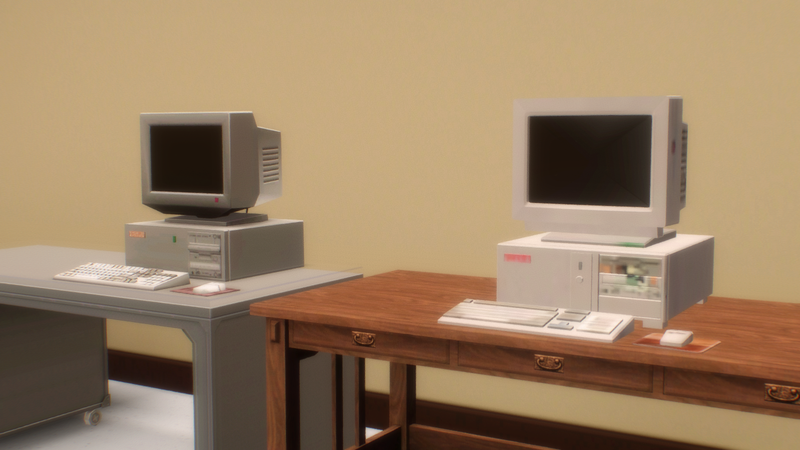 Both the cars and the computer will contain moving parts which are not used in TS3. This is additional data that I'll need to discard. I assume these will be separate parts of the mesh, assigned to separate groups or whatever? Sounds like more than enough to make my life needlessly difficult. When I convert stuff from TS2 to TS3 the only things I really need are the LIFO files (Which are the texture files but 1024x1024, rather than the default 512x512 or even 256x256 textures). Exporting the LIFO files is possible. When exporting it, it will just export it into a DDS File. 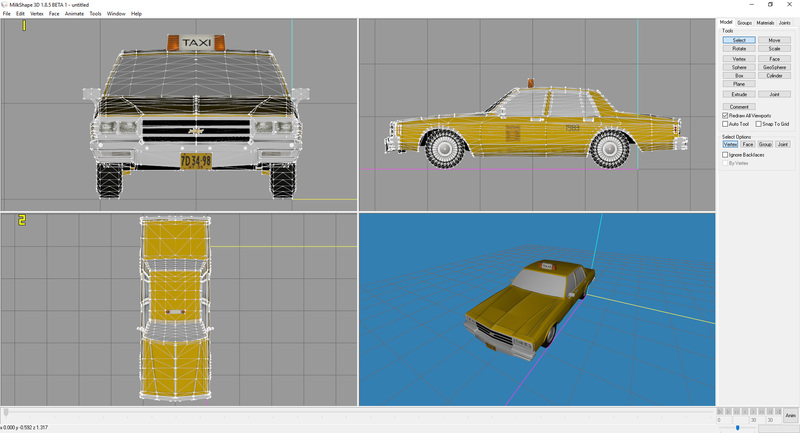 And the GMDC files which you can export an obj file from the 3D window in SimPE. Depending on whether you have the UC (ultimate collection) or the non-UC, if you're looking for a EP/SP mesh, you have to navigate to that folder. I wouldn't suggest using SimPE's object workshop though, that one seems to show only 20% of the objects you might wanna have. Well I don't know what I exactly did but I managed to get into "Plugin View" where I could export my assets in the right formats. 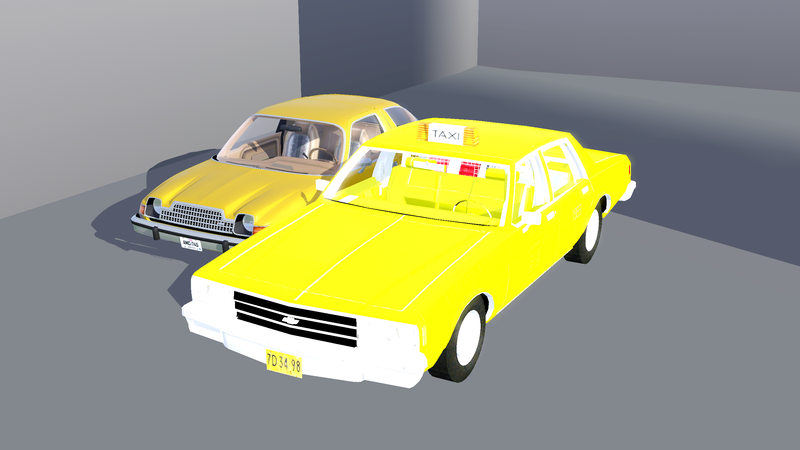 I have my car model, and I have my textures. Something tells me this is going to be easier than it seems. Okay so Milkshape is not giving me any TSRW-related options. I can't import or export WSO files and TSRW is refusing to import any OBJ. Okay, let me move it to the sims 3's create forum since I think it first there a bit more Sorry for moving it around this much! obj for TSRW is actually not a good way of doing it. That's because we need bones to begin with to import... a second error could be due to the groups... not sure what error you're getting? I might very well, theoretically speaking, have forgotten to move those files into the correct folder, yes. Now I have the car and all its groups and textures in Milkshape and it's looking damn good, Thing is, I have the plugins and they're in the right folder, but they're still not showing up. #13 5th Aug 2018 at 1:02 PM Last edited by GrijzePilion : 5th Aug 2018 at 1:17 PM. Yeah, it all checks out. They're finally showing up now, but I'm getting issues with the groups. The TS3 mesh I use as a base has 1 group; my own mesh has 7. TSRW expects the amount of groups to be identical to the original. I don't think that's possible though, because the mesh has multiple materials. EDIT: I've tried again with another model entirely, a PC instead of a car, and it worked just fine. That's great, but it doesn't solve my groups issue quite yet. Okay so I'm having a problem where SimPE will not export textures larger than 64x64. Compare TS3's low-quality model with okay quality textures to TS2's high-quality model with awful textures. I believe the texture resolution here should be 256x256, not 64x64. I'll need to fix those textures, and I'm going to modify the mesh a bit to make the PC look somewhat older, and then I'll have a damn fine PC model that's going to look a whole lot more convincing than TS3's default one. Not sure what's going on here but this car's really really bright. And how come I can only assign one texture for the whole model in the Mesh tab? I have an exterior texture, an interior texture and a texture for the chrome accents. I don't know how to assign all three. Use overlay textures for the none castable bits. Oh, right. That makes a whole bunch of sense, yeah. But what if I need multiple overlay textures? 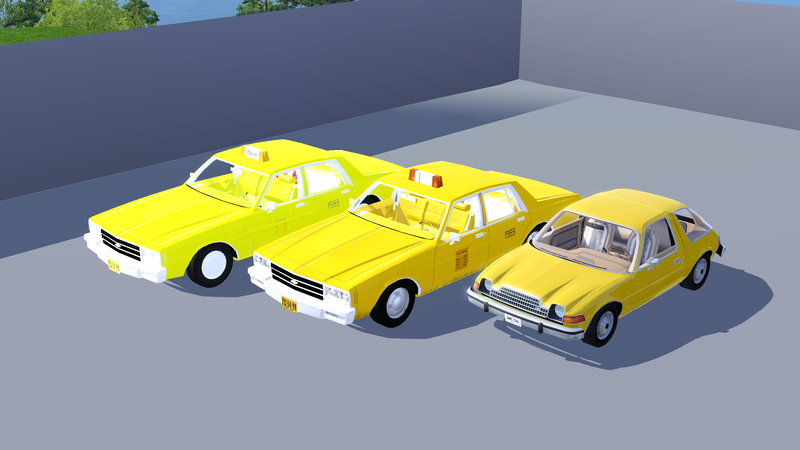 It's a long time since I made anything for sims3, but one of the things I did make was a car. What I did was, I put the chrome textures on an overlay and I combined the two textures, inside and outside, onto one castable texture and then remapped the uvmaps, this is not a large task, it's just a case of scaling the existing UV maps. The downside of this is that the interior of the car looked a bit plastic. The seat textures had an odd shine, and I didn't mind enough to fix it. What I did see is a lot of cars have the car glass very tinted to reduce how noticeable this is. What you can do, is try cracking open an existing car and see how they did it. It's the specular /multiplier that is making that shine. You need to use the right alphas/colours. I've noticed just now that the TS3 base mesh I used is the fighter jet statue from the base game, which is decorative and only shows up as having one group in Milkshape. That it's a decorative object doesn't bother me, but could the one group thing be causing me these issues? I have a bunch more objects to convert and from the looks of it I'll be messing each one up if I don't get it right now. Earlier I also converted the PC, and I believe that now DISAPPEARS when a Sim tries to use it. Again, no idea what's causing it. #24 9th Feb 2019 at 1:25 AM Last edited by AGuyCalledPi : 9th Feb 2019 at 1:37 AM. Okay, so I really, REALLY need this taxi mess sorted out before long. I've got 3 material groups. TSRW acknowledges this in the Mesh tab. Milkshape sees 3 materials, but 6 groups. I cannot for the life of me to get each group to use a different texture. I've tried deleting everything 3 times over, diving into the material properties, messing with various shaders....it won't budge. The good news is that SOMETHING has at least made it so that the regular exterior material now looks normal. It looks alright, in fact, and only needs proper spec and normal mapping. TS2 seems to use a separate material for the chrome trims but for TS3, I'll just paint the chrome on using a high specularity. If I can just get this terrible interior situation sorted somehow, I'm okay with using it as-is. Problem is, for some reason I'm not getting a wireframe overlay of my model in Milkshape's Texture Coordinate Editor. If I had one, I could at least tweak the UV maps. Okay, so I'm just a big idiot. Like you said @leefish, all it took was actually putting the two necessary textures side by side in one image file. I forgot TSRW can effortlessly handle any texture map size that is a power of 2, so I took the exterior texture and the interior texture and put them side by side. Then I imported the original TS2 model over the base TS3 model, lined the UVs up, and transferred the groups as before. I now have my interior and, with a bit of luck, the normal-looking materials. The biggest mystery that remains is why I didn't do it like this earlier.